Sometimes less can indeed be more – if done right. Therefore, we designed our new bookshelf speaker CLASSIC 3 without any compromise and included all the technical subtleties of our CLASSIC range in this very compact box. 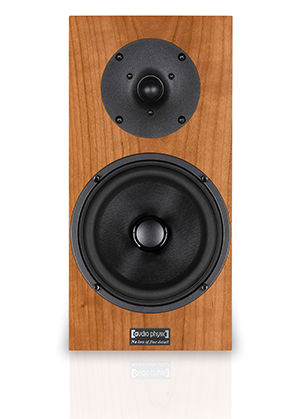 For instance, the CLASSIC 3 uses the same custom designed drivers as its larger sibling CLASSIC 5: The powerful midwoofer features a cone made from woven glass fibre, combining low weight with high internal damping. Sound-disrupting partial oscillations of the cone are thereby effectively prevented. The fixed phase plug reduces compression effects in the crucial mid-range and plays an important part in cooling the substantial magnetic motor during operation. The tweeter excels with a silk dome and resides in a small horn-shaped indentation to subtly adjust the sound radiation behaviour around the crossover frequency between mid and high frequencies. This way, the spatial image remains wide, balanced and precise, even if the listener is seated somewhat outside the so-called sweet spot. The CLASSIC 3’s crossover network has also been designed with no holds barred – like the CLASSIC 5, it uses a direct-wired crossover network with audiophile-grade components instead of an inferior circuit board design more commonly found in speaker of this size and prize. 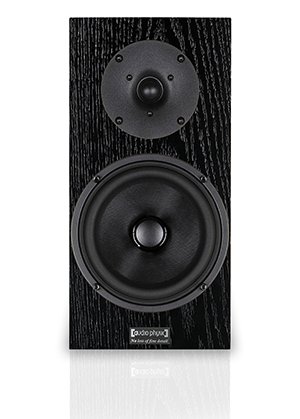 Build quality is also what you would expect from a speaker bearing the AUDIO PHYSIC marque, with a solid cabinet build to the highest standards of craftsmanship. The baffle has been kept as slim as possible, reducing the bookshelf speaker’s visual impact and, more importantly, minimising unwanted reflection and diffraction issues around the drivers. Depending on how and where you want to use your CLASSIC 3, we highly recommend our optional Vibration Control Feet AUDIO PHYSIC VCF II COMPONENT or VCF II MAGNETIC COMPONENT. These feet protect delicate surfaces and decouple the speaker from the floor or furniture, lifting sound performance to entirely new levels. The CLASSIC 3 might be our smallest speaker, but it is most definitively a true AUDIO PHYSIC speaker with the sound and the build quality hi-fi fans all over the world have come to expect from us. Ask a specialist AUDIO PHYSIC retailer near you for a demonstration – and be prepared to be amazed! 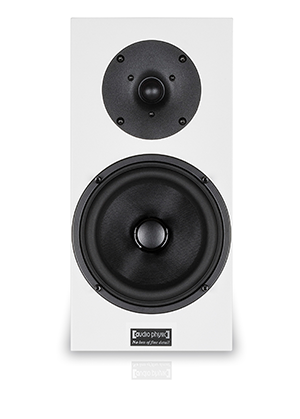 Height 350 mm / 13.8"
Width 170 mm / 6.7"
Depth 285 mm / 11.2"
Required Space Width x Depth 170 x 285 mm / 6.7 x 11.2"
The 2-way speaker features two different drivers that share reproduction of the entire frequency range – one mid-woofer (in the case of center speakers, often two of them) and a tweeter. Usually the crossover frequency is set between 2,000Hz and 3,000Hz. 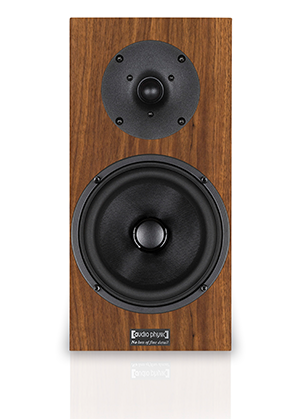 The best feet for our – and other – speakers. VCF provide a substantial improvement of sound performance by reducing transfer of unwanted vibrations while at the same time protecting delicate surfaces. Also available as VCF Component for Hi-Fi separates and as VCF Cable Supports. Please note: Real Glass or finishes might be different from paper printed catalogues. Products partially shown with optional accessories. Models and finishes availability may vary by country.